As parents and grandparents in your life become older, it’s normal for certain signs of aging to naturally occur like decreased mobility and some memory loss. Certain studies have shown that about 40 percent of people over the age of 65 experience some form of memory loss. But how do you know when memory loss is cause for concern, or even early signs of Alzheimer’s in seniors? According to the Canadian Alzheimer’s Society, there are certain warning signs to look for, that should not be ignored. 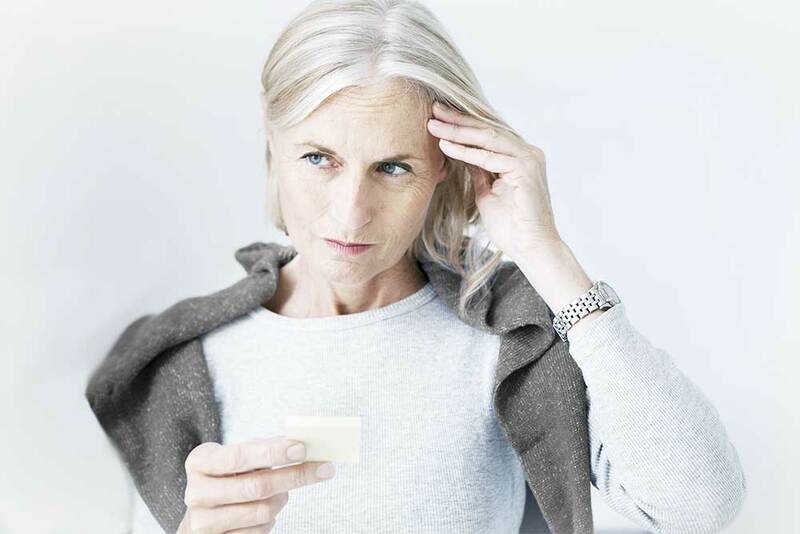 As mentioned above, some memory loss is normal, but when it disrupts everyday life like forgetting newly learned information, it may be cause for concern. One of the most common signs in the early stages of Alzheimer’s in seniors is forgetting the same information repeatedly, along with important dates and events. Another clue is if they need to rely heavily on reminders to remember seemingly easy tasks. Those with an early onset of Alzheimer’s often experience challenges with daily tasks like remembering familiar driving directions, forgetting how to make their favourite dish, managing numbers, or tracking monthly bills. Many seniors may experience normal signs of aging like being briefly confused about the date, which is normal. However those with early Alzheimer’s may lose track of where they are, how they got there, the seasons, and passing of time. They may also have difficulty interpreting something that is not immediately happening. Changes in vision over time happens to the best of us. It becomes a cause for concern and an early sign of Alzheimer’s when they have trouble judging distance and determining colours. This may result in an inability to read, write, or drive. Seniors with Alzheimer’s have problems with upholding a conversation; stopping mid-sentence and not being able to continue. They may also have issues with properly expressing themselves, like finding the right word, or calling an object by the wrong name. Losing items from time to time is normal, but seniors should be able to retrace their steps and find them eventually. However, those with Alzheimer’s may misplace things in unusual places, be unable to retrace their steps and even accuse others of stealing. Over time, these types of behaviours with occur more frequently. Seniors with Alzheimer’s may develop poor judgment when managing their money. Especially if someone used to be financially responsible, but suddenly becomes frivolous. They may also pay less attention to personal grooming and hygiene. One of the most obvious signs of early Alzheimer’s is a change in mood and personality. They could become depressed, anxious, angry or suspicious. This could cause them to become easily upset and start withdrawing from work and social activities that they used to enjoy. If you believe that someone you love may be experiencing early signs of Alzheimer’s, don’t ignore it, and contact a doctor immediately. The good news is that there are a number of treatments, clinical trials, and support to help. When it comes to caring for someone with this disease, having at-home senior care is a great option because it allows them to remain in their comfort zone and return back to their regular routine. Talk to one of our certified Care at Home Professionals regarding caring for your loved one that may be suffering with Alzheimer’s.